It seems that Zeus has updated their cgminer 3.1.1 fork with support for the ZeusMiner Scrypt ASICs with a version for the new X6 low power miners, though it should also be compatible with the previous miners as well. 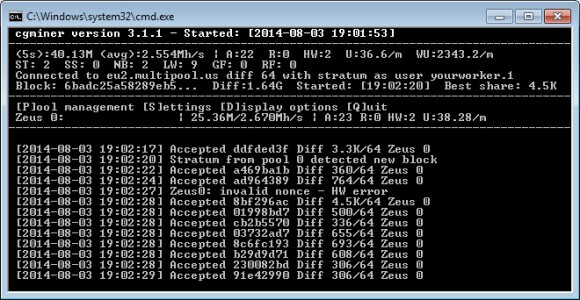 The miner is interesting, because in it there is a little something about the recommended frequencies, something that should be included with the ZeusMiner product information like a recommended frequency to reach the advertised hashrate. The official example bat file does have 230 set as frequency and the readme mentions 200 MHz as example, but it also includes the following line “All X6 low power miner must set the ltc-clk lower than 248”. It is up to you to find out what works best with your miner, but our experience with the new X6 miners shows that you should try what works best between 220 and 250 MHz. 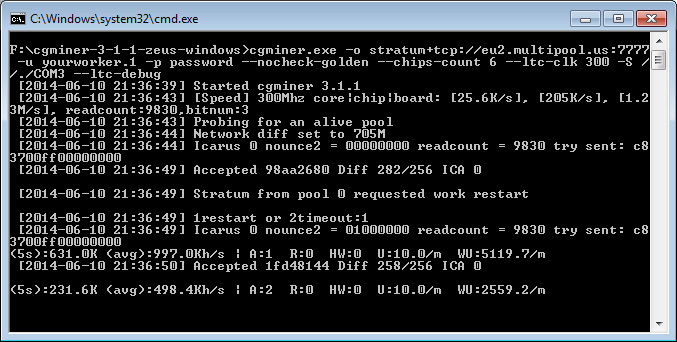 You can download the new cgminer windows binary from the link below and try it out on your hardware if you still haven’t.